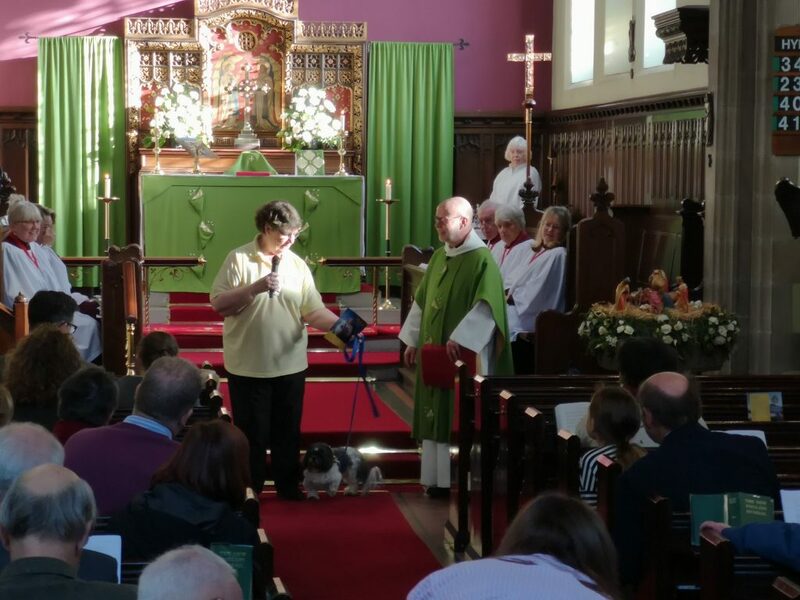 This Sunday we welcomed a guest to Holy Trinity. 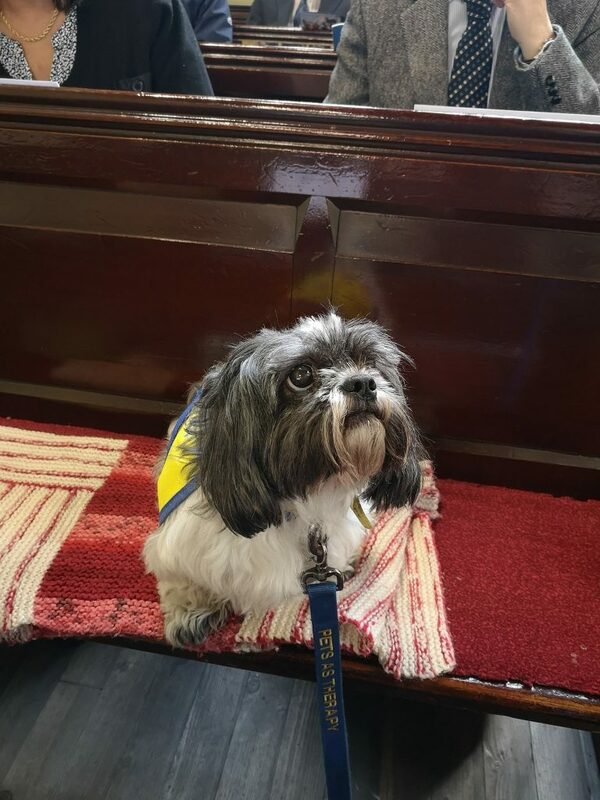 As part of our charitable work we support a range of chairities throughout the year, this week Rosie came to represent Pets as Therapy. Pets As Therapy, a humanitarian charity with people at their heart. Since founding in 1983, Pets As Therapy has been at the forefront of community based Animal Assisted Therapy across the length and breadth of the UK. Today, Pets As Therapy is the largest organisation of its kind in Europe enhancing thousands of lives every single day. What they do is beautiful in its simplicity; our inspiring and dedicated volunteers share their time and their wonderful pets with people in need. They work to enhance health and wellbeing in the community through the visits of trusted volunteers with their behaviourally assessed animals. Providing a visiting service in hospitals, hospices, nursing and care homes, special needs schools and a variety of other venues all across the UK. Enhancing lives in our communities by providing companionship and friendship and helps to tackle loneliness. Improving the lives of people suffering from debilitating mental and physical health conditions and illnesses such as Autism, Dementia and Stroke by including animal assisted interventions as part of a holistic approach to treatment. Help improve literacy in children by developing their confidence, interest and enjoyment in reading through their read2dogs scheme. For more information or to support the work of this great charity visit their website here.